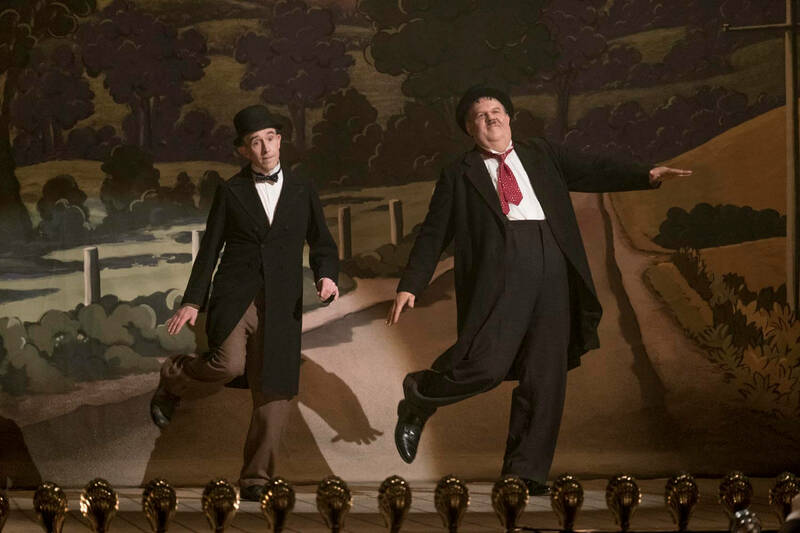 Photo Credit: CNS/Sony Pictures Classics - Steve Coogan and John C. Reilly star in a scene from the movie "Stan & Ollie." The Catholic News Service classification is A-II — adults and adolescents. The Motion Picture Association of America rating is PG — parental guidance suggested. Some material may not be suitable for children. To reinforce the proposition that Stan Laurel and Oliver Hardy were, and still are, sacred icons of film comedy, the pitch-perfect, affectionately nostalgic “Stan & Ollie” (Sony Classics) reproduces their 1953 arrival in Cobh, Ireland, during what would be their last tour of British music halls.